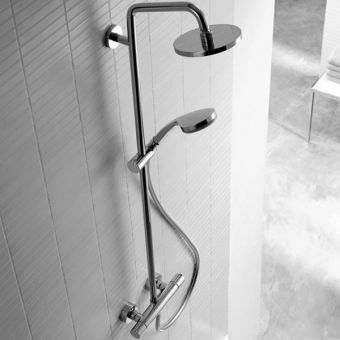 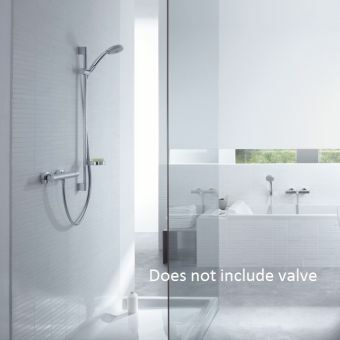 By keeping the total number of exposed components to a minimum, the concealed arrangement of the Design Croma Select ShowerSet is the perfect addition to the bathroom or en-suite with a streamlined appearance. 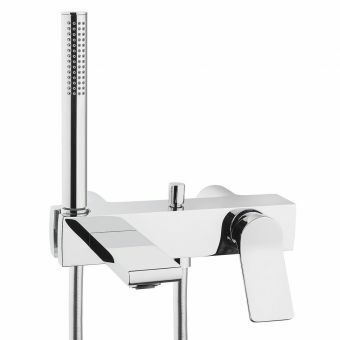 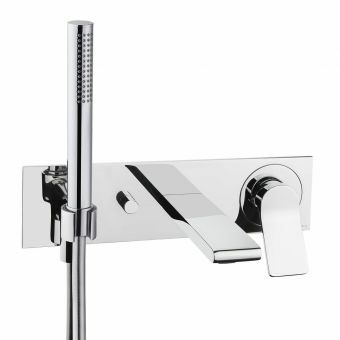 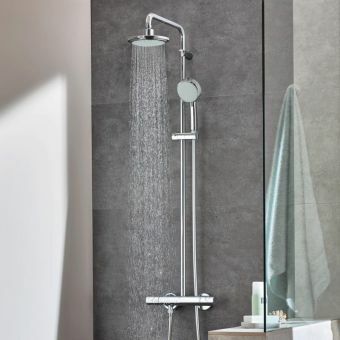 Consisting of the Croma Select S 180 2jet overhead shower rose, the additional Croma Select S 1jet handshower, and a two function, thermostatic control valve, the resulting arrangement is one of sleek, calculated balance. 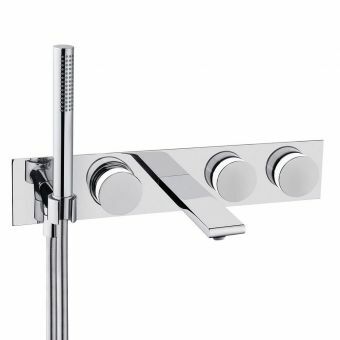 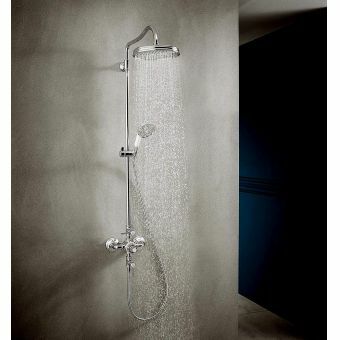 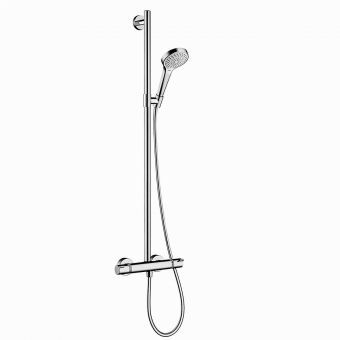 Attached to a wall mounted arm, the overhead shower rose delivers two different spray patterns, readily selected at the touch of a button. 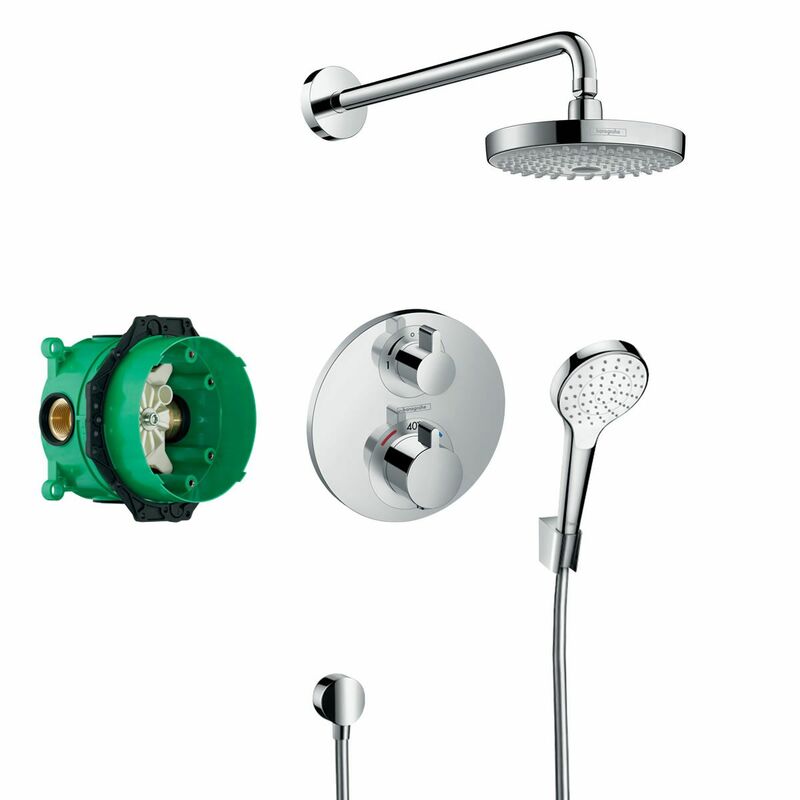 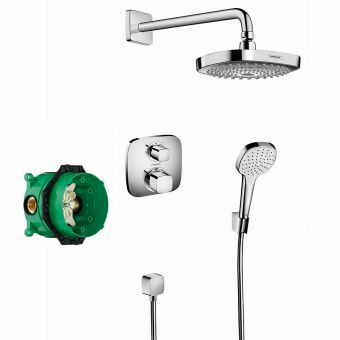 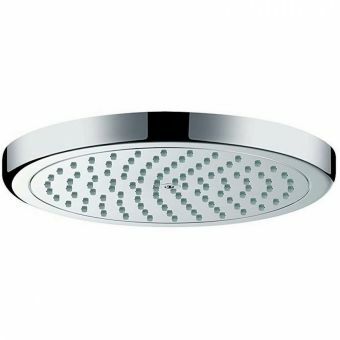 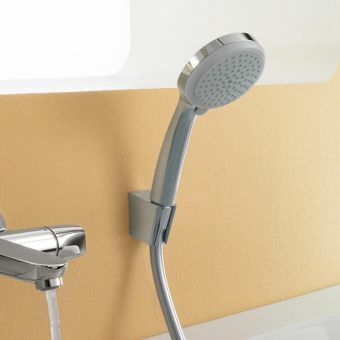 Alternating between the overhead and handheld showers is quickly achieved through the in-built diverter, with water temperature and pressure intuitively controlled from the same valve. 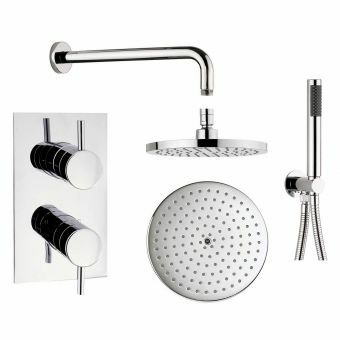 Finished in gleaming chrome, the Design Croma Select shower set is a fine addition to the contemporary, luxury bathroom space. 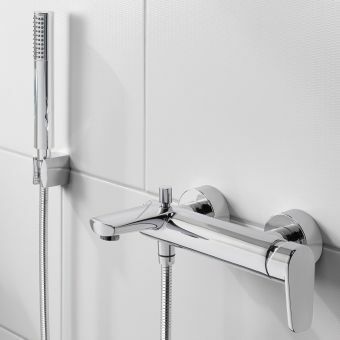 Supplied with the incredibly useful QuickClean anti-limescale technology, the amount of time spent maintaining the unit is drastically reduced, even in hard water areas.